Pointing towards the possibility of a prolonged repatriation, Deutsche Welle Editor-in-Chief Ines Pohl yesterday said the ethnic minorities from Myanmar should be given a chance to get integrated in Bangladesh’s society. “We all have to find a way to get out of the ‘state of denial’ and face the fact that we have to give them a chance to get integrated, to start with education, having a chance to find a job, and start a life here in Bangladesh,” she said. She was addressing a roundtable on “Migration — Challenges and Approaches in the East and the West”, arranged by the global German broadcaster at a Dhaka hotel. A DW team headed by Ines recently visited the refugee camps in Cox’s Bazar. 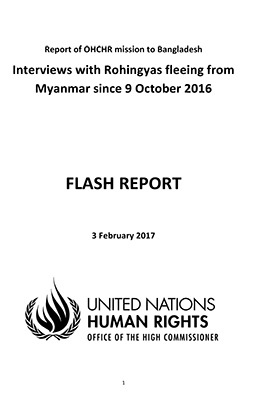 She said during her two-day visit she saw the “differences” between registered and unregistered Rohingyas. “I think it’s inhumane — this state of denial.” She said she talked with Rohingyas and locals, who were “outspoken”. The locals wanted the Rohingyas to go back. “Everybody knows it [timely repatriation] is impossible,” she said. 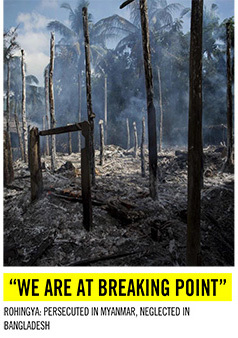 Over 700,000 Rohingyas have escaped a brutal military crackdown since late August last year. 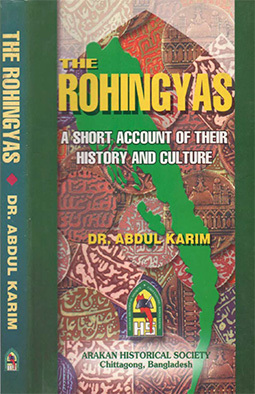 Rohingyas were reportedly killed, raped and their houses burnt in the campaign, termed a “textbook case of ethnic cleansing” by the UN. In Bangladesh, they joined over 300,000 other Rohingyas, who fled previous waves of violence since 1980s in Myanmar, where they have been denied citizenship. Ines said Germany and Bangladesh are facing similar issues in terms of dealing with refugees. In Germany, they had a culture of welcoming refugees, but the situation has changed in recent years because of two reasons, she said. People are afraid that too many refugees will come and it will be too hard to integrate them in the society. Also, there is fear of radicalisation, she added. According to her, Bangladesh is facing major challenges due to the effects of climate change and migration. Responding to a query, bdnews24.com’s Editor-in-Chief Toufique Imrose Khalidi, who attended the event as a discussant, said Bangladesh, which is not a signatory to the UN Refugee Convention, termed Rohingyas “forcibly displaced Myanmar nationals” as the [Myanmar] military and political leaders call them “Bengalis”. He thinks the government and international community understand that the crisis is not going to get resolved anytime soon. DW’s Head of Asia Programmes Debarati Guha moderated the round-table.